A Sheet of edible image cupcake toppers, with a St. Patricks Day theme. 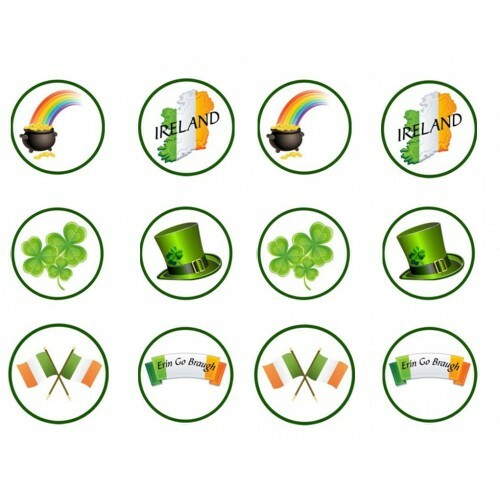 There are 12 x 2" precut ima..
A Sheet of edible image cupcake toppers, with a St. Patricks Day theme. There are 12 x 2" precut images per sheet. €6 per sheet plus p&p. All of my edible images are Gluten Free, GMO free, and Dairy Free. Handmade discs of detailed communion boy or girl, communion/ confirmation cupcake topper. Pack..